Ola Podrida“s mainman, David Wingo, is principally known for composing scores for such indie film powerhouses as David Gordon Green. If the band’s last two albums were movie soundtracks, they would”ve scored a charmingly low-key flick about unrequited love or (especially 2009’s Belly of the Lion) a tale of settling down as a world-weary adult in rural Texas. That said, for this year”s Ghosts Go Blind, a grandiose, landscape-heavy road movie would be the ideal fit. section have substituted Nick Drake-like fractured arpeggios at the musical core. Wingo”s woolly voice remains characteristically hearfelt, but with a louder, edgier band behind him and ‘90s-referencing production, he now sounds more like Mark Eitzel than Neil Young. Lyrically, Wingo”s style is elevated to a trademark status. His narratives are highly poetic and visual at the same time: cinematically suggestive, yet with a powerful dose of metaphor. 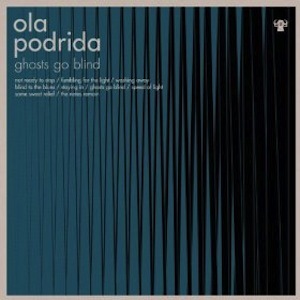 Peppy “Speed Of Light” includes the gorgeous line “Thunder clouds always come at the worst of times/And we left all the windows down,” ultimately revealing Ola Podrida’s greatest strength. For a band so focussed on lyrical meaning, they have never stopped looking for new sonic possibilities; and hopefully, they never will.